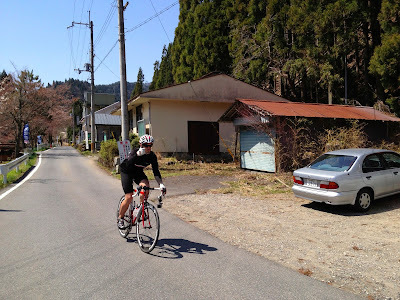 The Strava Specialized challenge continues. I've fallen behind this past week, due to work, poor weather and a tooth issue (that actually seems to have cleared itself up - fingers crossed!). I'm gonna have to pull out all the stops to finish this one - 520km in a week. Let's see what I can do! A week or so ago I got a cracking ride in, though. I'd been holding off writing it up because I was hoping to have video footage (a friend lent me his GoPro bike-mountable camera) to go with it, but the editing is taking forever so I'll post that up separately in a little while. 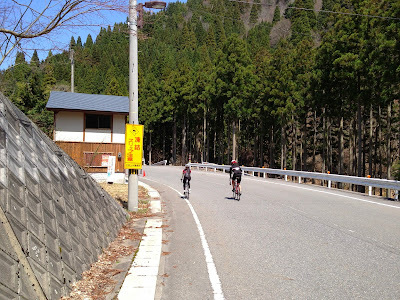 We started off with an ascent of Hanase Omote, which was far better this time around - no-one stopped for a breather midway up it! 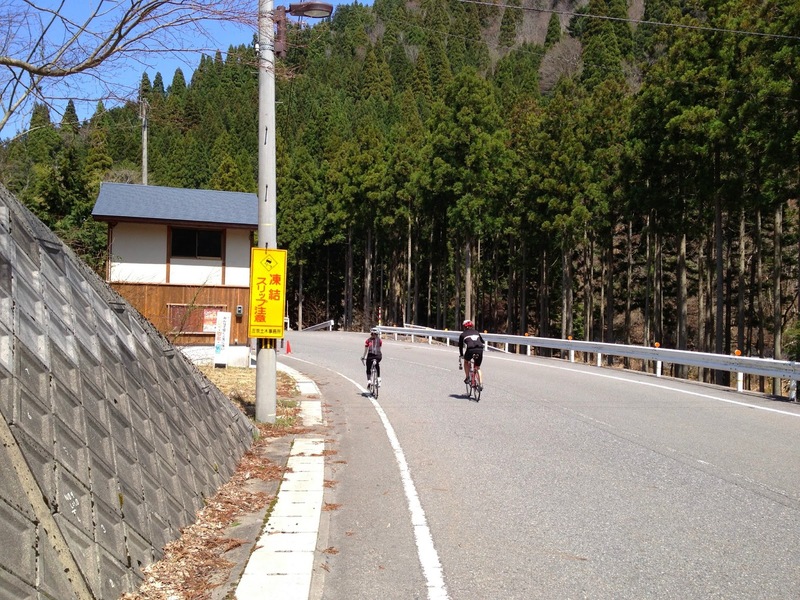 - and then, after catching our breaths at the top, a cracking descent down the other side (Hanase Touge). From there, after some minor navigational issues, we carried on north and eventually east to the village of Kuta, up over another decent climb. 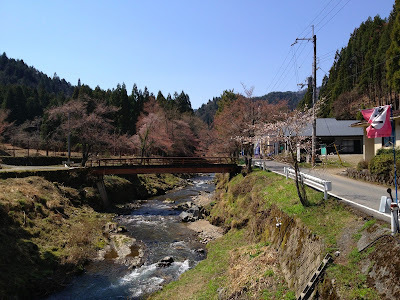 This area was beautiful and there were still some cherry blossoms around - long gone in Kyoto! From Kuta we continued to Route 367 towards Ohara, which is a rather rolling road with some nasty tunnels (we actually dismounted and walked through one of them), all full of trucks. However, it pays off eventually, with an absolutely ripping descent a few miles before entering Ohara. 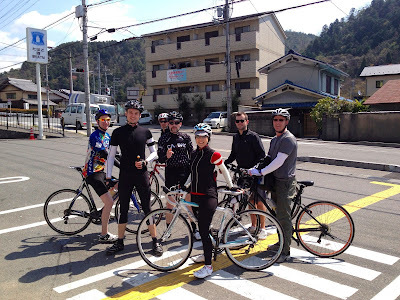 Super-smooth, fresh road surface and a nice event gradient make for a very, very fast ride. It's over in 4-5 minutes, but it's pretty amazing. I got this all on video so hopefully you'll be able to enjoy that soon. I believe I hit over 80kmph (50mph) on this - quite scary on only a pair of 23mm wide tyres! Of course, this all sounds too perfect, so at the bottom of that descent I noticed a sort of rhythmic thumping sensation coming from my rear tyre. Why? Because there was a HUGE bulge in it. 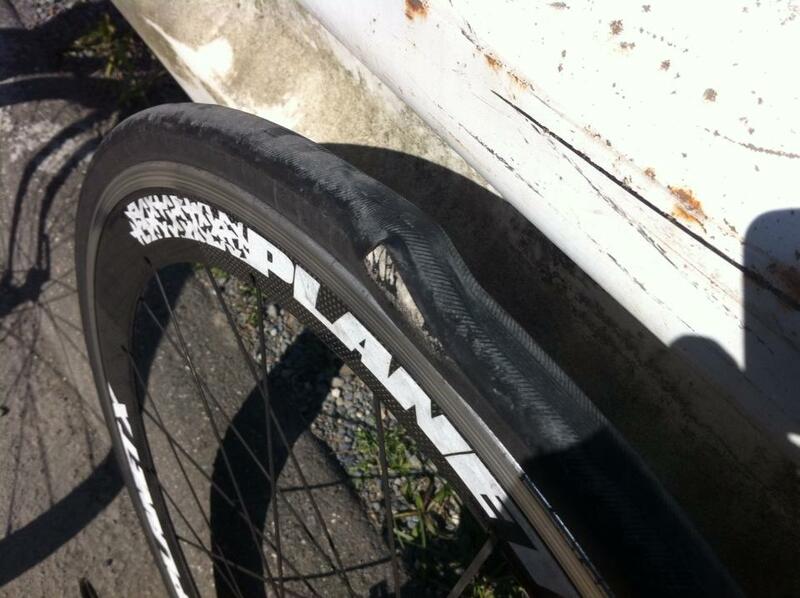 Pretty much a total tyre failure. I swapped tubes to see if that would help, but it blew out almost immediately, so I rode part of the way and walked the rest to Ohara. Ride over. Following up from that, I actually contacted the tyre manufacturer in Italy and they had their Japanese distributer send me a new pair by means of apology, which arrived the other day. So now I have ANOTHER new set! 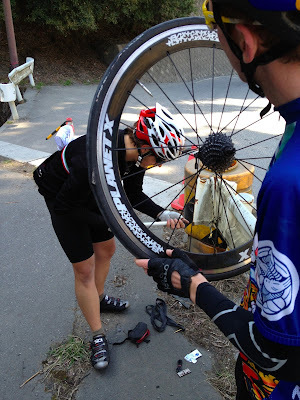 They're pretty expensive racing tyres so I'll definitely hold them in reserve for when my current ones wear out. I'm not convinced the tyre was at fault that much - they had over 3500km on them by the time the rear one failed (and the rear one always wears much faster than the front), which is probably well past the reasonable lifetime of racing open tubulars. Regardless, props to Challenge for sorting that out incredibly quickly. All in all, though, a pretty beautiful route, with a little excitement thrown in for good measure. I will upload the video shortly(ish), so keep an eye out for that! Oh, one more note: it's absolutely AMAZING what this sort of mileage will do for you physically. I went for my annual university health check today and without going into details, the results were pretty remarkable. So many benefits for what feels like no effort whatsoever.